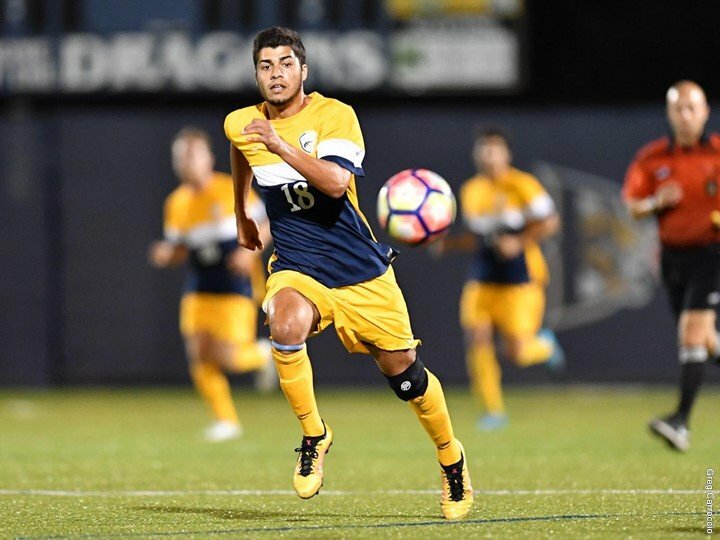 Join the Drexel University Dragons Men’s Soccer Fall ID Camp on October 14 and 15. The event starts at 9:30 AM on Day 1 and ends at 12:00 PM on Day 2. It is inviting to all male high school freshmen 15 years of age and up. This 2-day camp will consist of 4 training sessions run by the Drexel University coaching staff. The training covers both the technical and tactical facets of the game. One of its highlights is the game between 2 NCAA Division I teams, Drexel University and College of Charleston. In addition, this event is an opportunity for outstanding players to showcase their skills to NCAA scouts. The event will take place at the Vidas Athletic Complex. Drexel University is private, non-profit, coeducational university in Philadelphia, Pennsylvania. The university is an affiliation of the Middle States Association of Colleges and Schools. It is also a member of the Association of Independent Technological Universities. The university is 94th in the National Universities, 2018 edition of Best Colleges’ ranking. It is also 7oth in the Best Value Schools ranking. Currently, Drexel University accommodates around 26,400 undergraduate and graduate students. The student to faculty ratio is 10:1. Furthermore, Drexel University has 18 intercollegiate sports teams. They are competing in the Colonial Athletic Association of NCAA Division I. Their nickname is Dragons while blue and gold are their identity colors. Leading the Dragons men’s soccer team is Head Coach Doug Hess. Coach Doug Hess is already entering his 7th season as the team’s head coach. Under his leadership, the Dragons have already 2 CAA Regular Season titles and a CAA Tournament championship. Moreover, the team has also 2 NCAA Tournament appearances. Coach Doug Hess is the 2012 and 2013 Conference Coach of the Year awardee. Overall, he has already 5 Conference Coach of the Year selection. Then, helping Coach Hess are Assistant Coaches Sean Lawlor and Ayotunde Ogunbiyi, and Volunteer Assistant Coach Sam Lane. Join the Drexel University Dragons Men's Soccer Fall ID Camp on October 14 and 15. This 2-day camp consists 4 training sessions.